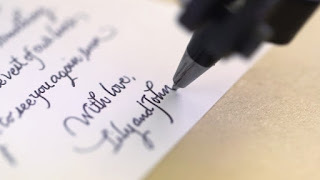 Home Business Ideas Growth Strategies Leadership Starting A Business Skip the Boring Business Plan. Focus on This Strategy Instead. The real question is how detailed does your plan have to be. Business plans serve a very specific purpose: to demonstrate where you currently are and where you would like to be. In simple terms, how you will get from point A to point B. The problem is that as with any startup, you have very little information as to the best way to reach Point B. Startups don’t even know who their customers are or what their product should be. As a serial entrepreneur, I’ve come to appreciate the unpredictability of running a startup. It’s a fascinating ride to watch different iterations of your product strike new chords with an expanding audience, and I’ve come away from these experiences with a few insights into what should go into the planning phase of starting a business. Business plans are becoming increasingly irrelevant. Customers have never cared about your business plans, and nowadays, investors are increasingly becoming less fond of them. Take Y Combinator, for example. Y Combinator is a Silicon Valley-based accelerator that has helped fund over 500 companies in its nine-year history. Their portfolio includes giants like Airbnb, Reddit and Dropbox. Getting into the Y Combinator is a competitive process, but one thing you absolutely don’t need to get in is a business plan. They don’t ever read them. Sam Altman, the president at Y Combinator, explained this logic in an interview with Russell Roberts on the EconTalk podcast. Written business plans take a lot of time to create and don’t allow the flexibility you need as your business grows. However, it’s still important to map out your business model and document your hypotheses, which you can do effectively with a "Lean Canvas." Created by Ash Maurya and adabted by Alexander Osterwalder, a lean canvas is an actionable and entrepreneur-focused business plan. It focuses on problems, solutions, key metrics and competitive advantages. With hundreds of different things you could be doing, a Lean Canvas helps you hone in on the one or two things that should take top priority. 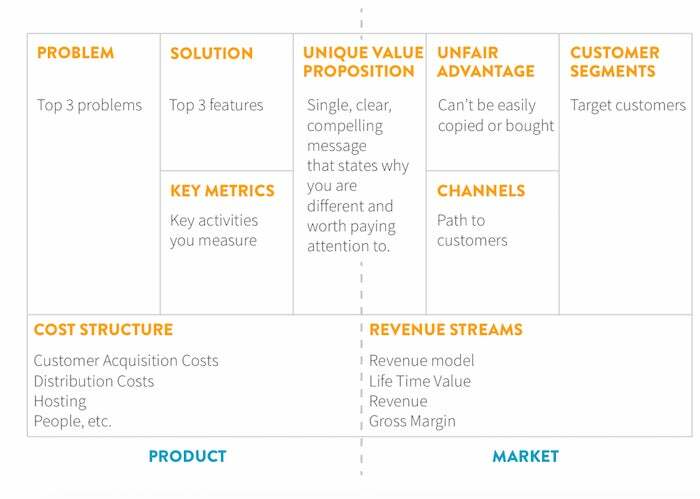 This model captures the same level of information as a traditional business plan, but in a single page. It also gives you much more flexibility to switch to a plan B if plan A doesn’t work out, allowing you to transition to a new approach without running out of resources. Being able to boil down the essentials of your business model onto a single page can pay huge dividends. When you meet with customers or potential investors, you won’t have much time to describe your entire vision. If you can describe your customer's problems clearly and succinctly, you can get to the heart of why your solution fits. Start by setting a timer for 15 minutes and filling out the sample Lean Canvas with as much information as you can. This will help you identify what you know and don’t know about your business. Don’t be afraid to be brutally honest with yourself, and you can even leave certain areas blank. After you complete the canvas, you can quickly identify the riskiest parts of your business. At this point, you can begin to build experiments to gather data about those areas to test your assumptions. These experiments will test the waters of some of the most fundamental aspects of your plan. For example, let’s say you identified social media as the optimal channel for reaching and converting your customers. After a few weeks of test runs, however, you may learn that your audience is not as socially active as you originally projected. Considering this was your main plan-of-action for reaching your customer base, you’ll have to reassess your understanding of who your market is and where they can be reached. After about a month of experimenting, you will hopefully have learned enough to be able to return to your Lean Canvas and update it based on your new findings. And, if you’re like most startups, you won’t get it right the first, second, or probably even third time. Reevaluating the main components of a given business model is not uncommon in the early years of many major corporations. As a startup, you are in a race to deliver customer value. Sinking time into writing out a business plan -- a plan that you probably won’t be able to stick to -- can be a tremendous waste of time. You can get all of the benefits of a business plan on one page, and this will help you discover the two or three things that matter most today.